Storm of Spears is available now! Storm of Spears wargames rules are now available from the Grand Manoeuvre website shop at: http://grandmanoeuvre.co.uk/product-category/gm-rules/page/6/ Supplied as a pdf download. The rules cover the period hoplite warfare from the start of the Peloponnesian wars to the end of the war of Theban hegemony (from 431-360 BC). On and off, it’s been two and a half years in the writing and testing. At first, I had the aim to make the game play out in a decent length of time; but it needed to give players enough to do and think about. Sadly, so many people dismiss the period of hoplite warfare as being; one-dimensional, simplistic and lacking tactical in nuances that we find represented in other periods. But actually, as I played and tested I found opportunities to introduce most of the tactical elements of the period into a game that can be grand-tactical in scale. 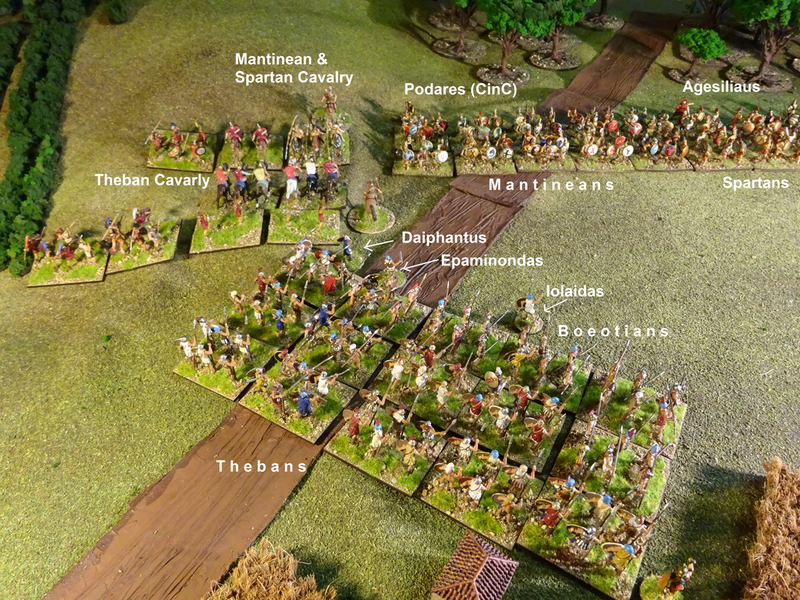 Many of these elements are either over-looked or deemed unplayable in a large ancients wargame, but in this rule set I hope that I have found ways of making them playable and possible. These tactical elements are; the option to use open and close order in charges and combat, depth of files, half-files, the attachment of hamippoi (foot skirmishers) to cavalry, ekdromoi (hoplites who would leave the phalanx to chase off enemy skirmishers), slow march intimidation (favoured by the Spartans), variations of grand-tactical formation such as echelon and the use weakened centre and reinforced flanks and then also in the rules is the phenomenon of drifting that shaped and determined early hoplite tactics. And I guess its about time (overdue actually) to post some the news of this here! 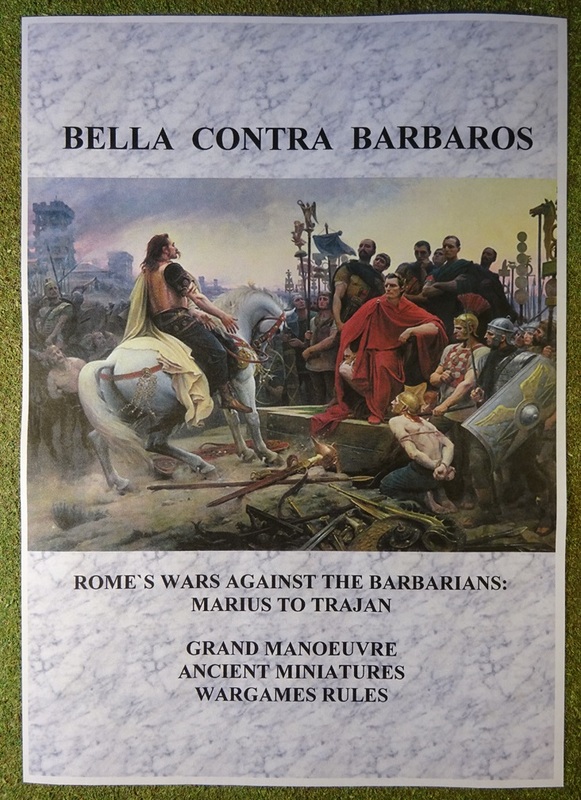 The rules cover the period of Rome`s wars with the barbarians from 100BC to 100AD; from the reforms of Marius to the Dacian War of Trajan. There are some interesting ancient period flavours in this one. I`ve included many of the stratagems mentioned by Frontinus and Polyeanus – these stratagems are played with cards selected by players, or at random for the game set up and the game itself. There are also pre-battle speeches which may give the player some game advantages. The rules are an adaptation of my Napoleonic set; the same rules mechanisms are applied to ancient Roman and barbarian tactical methods. Added to the mix (and only if things are going badly for the player) is the possibility of an heroic death for both barbarians and Romans – the Roman version of this being called the “devotio”. Publication here by pdf download will be sometime in April 2017. Coming Soon: Publication of Grand Manoeuvre Nineteenth Century Rules Variant 1811-1851 (late February 2016) Includes: South American Wars of Liberation, November Uprising, Egyptian-Ottoman Wars 1831-41, the Mexican War of 1846-48, the 1st Schleswig-Holstein War 1848–51, the Hungarian Uprising 1848-49, and the 1st Italian War of Independence. ….Also in development: Grand Manoeuvre Ancient Rules. The Solo Module for Grand Manoeuvre will be published on the evening of the 18th of January (GMT). This Solo Module for Grand Manoeuvre Napoleonic Wargames Miniatures Rules is intended to generate an unfolding, automated plan of battle for the non-player side. Once the initial battle dispositions and orders are established there should be little need for the soloist to consult these rules apart from identifying the most significant changes of situation and determining his automated opponents` responses to them. These Solo Rules may also be used to represent the decisions of subordinate commanders in 1 to 1 game play and adding to uncertainty and unpredictability in “normal” games. The module has 105 pages – but don`t worry, just like Grand Manoeuvre Miniatures rules, the text is spaciously laid out and the rules mechanism are very simple. The download will comprise of a full colour version with some nice images of Napoleonic history paintings and engravings and a printer-cartridge friendly version in black and white. The download will be £6. Paper Strength Units Are Here ! Designed with the Napoleonic beginner in mind; “Paper Strength Units” will provide players with an opportunity to game on a large scale or with an “en masse” effect but at a very low cost – you may print and make as many units as you wish. For example, the French Army pack consists of twenty-two pdf files of French “Line” army units and includes; light and line infantry, skirmishers, cavalry and artillery with horse and limbers and flags. All you will need to make them is paper, small sharp scissors, PVA glue, a small brush and printer ink. Once made and the glue is dried, the army unit blocks are surprisingly strong and can be very durable – I still have some in my garage that I made in April 2006! The bottom line: £5 for an army pack of 20-25 files and smaller packs and armies will cost proportionately less! All, as you can see we have a shiny new website – please explore and I welcome your feedback. In simplifying the game design to achieve fast play, I decided against having different factors for rifle-armed skirmishers, but if you think it appropriate for smaller games or where rifles are plentiful, for rifles, one could have 6 and 12 centimetres for short and long ranges, with a -2 at short range against other skirmishers – that is within 4 centimetres. 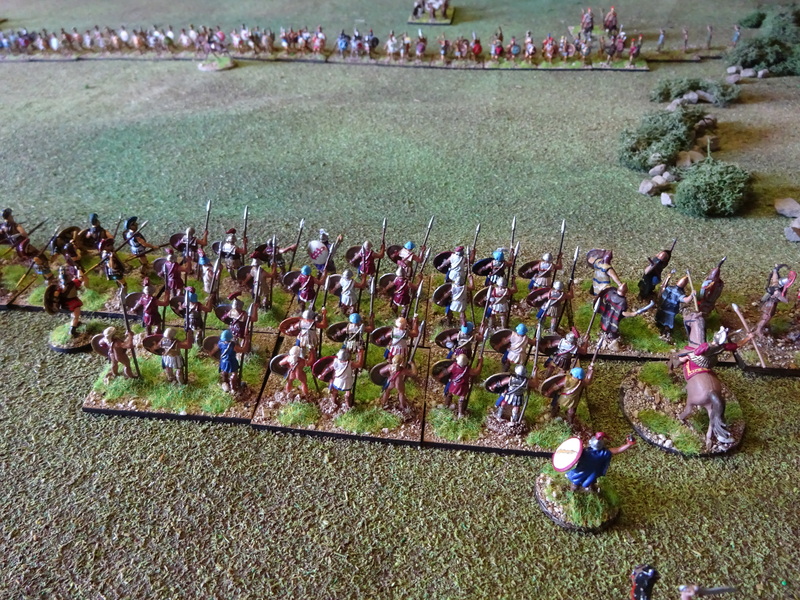 I intend to test this with the Vimerio scenario – I expect that the rifles should be able to keep their distance from any advancing French skirmishers in broken terrain… well, that is until a formed unit combat occurs. Mike. The infantry and cavalry game play examples posted here earlier are now downloadable from the yahoogroup at: http://games.groups.yahoo.com/group/grandmanoeuvreblackpowderandbluesteel/?yguid=169209370 and will soon be at Angel barracks too I think… i`ll post here again when that happens with the link for the rules page. regards, mike. My Schongrabern scenario is now posted on both the yahoogroup and the Angel Barracks rules page. or in the files section, scenarios folder on the Grand Manoeuvre yahoogroup. 1. If they have one use Legere regiments for the divisional “skirmish line”. 2. Use the first line of battle’s light companies as “tirailleurs de combat” in direct support of their parent battalions or brigades. 3. “Tirailleurs de combat” may be reinforced by infantry of fusilier companies from the first line (combating with a -1 modifier) or of voltigeurs from the second line of battle. A minimum of two companies must form the “ligne d`approache” and one of those companies must be kept as a reserve. The effect of formed reserve companies would be to add a +1 to the skirmisher class die roll in combat if it is within 10cms. 5. Form a “flanking brigade” to act more independently, or in support of the brigade/division on one of its flanks. Skirmishers drawn from line battalions that already have had their voltigeurs drawn off will combat with a -1 to their skirmisher class combat roll. 6. Third rank skirmishers may be used. 7. Tirailleurs “en grandes bandes”. 8. Tirailleurs “a la debandade”. arrangements and are shown on page 21. 1. British brigades/divisions may use light infantry battalions for their skirmisher screens. 2. Use their line battalion’s own light companies. 3. Reinforce these with centre companies from the line (with a -1). 4. Form a flanking brigade. 5. Screening the front of its command, a light brigade`s skirmisher supports would be stationed on the flank, or both flanks of their brigades. 6. Add rifle companies to the above formations. Prussian, Russian and Austrian line battalions may skirmish with one base, representing volunteers etc. and strengths up to a company deployed for that purpose, but with a -1 modifier to their die roll. 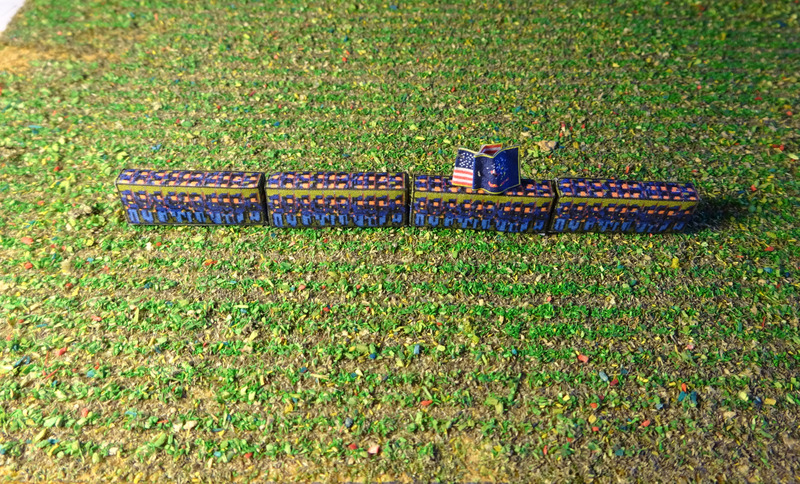 Third rank skirmishers are represented by two bases from each battalion. Both bases combat with a -1 to their unit die rolls. If the third ranks do not manage to perform a unit manouevre back into line, the parent unit will then suffer a -1 to its combat die roll. Battalions of less than about 300 men will be represented by 3 bases and with the battalion very likely being deployed in two ranks at that strength, it will not be able to deploy third rank skirmishers. a) Austrian Jagers rate as “D” class when formed; all bases may be deployed as “C” class skirmisher bases. b) 1805 Austrian Grenzers rate as “E” class when formed; they may only deploy one “C” class skirmisher base. c) Up to 1800 Austrian Grenzers rate as “E” class when formed; they may deploy all bases as “C” class skirmisher bases. d) Detached light infantry companies or divisions (two companies), are represented by one skirmisher base per company. e) Light infantry battalions: up to three bases may be deployed as skirmishers. f) If they have two or more bases deployed Russian Jagers (unless highly rated) will all combat with -1 a modifier to each skirmisher class die roll. g) Due to their small numbers, from 1792 to 1807, only one base of Prussian line skirmishers (Schuetzen) may be deployed from each regiment. Light infantry battalions may be deployed in open or extended order with each unit base counting as skirmishers. Line infantry battalions may be deployed in open or extended order with each unit base counting as skirmishers, but with a -1 to their combat die rolls. scenario for Mariazell, 8th. November 1805. I`ve just posted this at the yahoogroup http://games.groups.yahoo.com/group/grandmanoeuvreblackpowderandbluesteel/ and like I say, I`m very happy to finally have it there. Due to the Assistance of Robert Goetz, it places the battle of Mariazell at its correct location and has the Austrian forces represented more accurately. I`ll post again here, once it is up on the Angel Barracks website too.